The Iu Mien began migrating to the United States in the 1980s from Vietnam after the United States pulled out from the Vietnam War. Many had worked alongside the CIA and US military during the War. They began settling on West Coast of the United States. When they first arrived, they had difficulties adjusting since they originally came from rural farming areas and were placed in metro areas. As a rural people in Vietnam, they were farmers, cared for the land, and told stories as a way to pass their culture onto younger generations. They speak the Iu Mien language, a cousin language to the Yao languages in China. Since their first migration, a third generation has risen in the United States with the majority speaking English and no longer able fluently to converse in Iu Mien. The majority of Iu Mien reside in California with other significant populations in Oregon and Washington state. Other states with Iu Mien are Texas, Mississippi, Alabama, and Alaska. Many first generation Iu Mien converted to evangelical Christianity. However, being in their third generation, the younger generation of Iu Mien now live a secular lifestyle and are more in name only Christian. Some Iu Mien still adhere to Taoism. Taoism follows "The Book of Life", a record of the Iu-Mien kin, dating back hundreds of generations. The book includes a family tree of sorts, detailing philosophical dates and times. It details the fate of marriages, life, and choices made thousands of years ago, which are still seen as relevant today. See the Iu Mien on Facebook. Pray for the younger generation of Iu Mien, that they will personally experience the Lord Jesus Christ and make Him their Lord for all daily affiars in life. 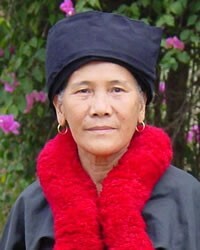 Pray for Christians to be sensitive and meet the physical and spiritual needs of the Iu Mien.